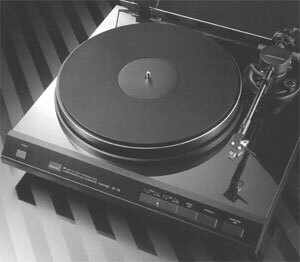 A turntable's dreaded enemy is vibration and Sansui's exquisite new XP-99 vanquishes this villain completely, and in unusual ways, as you'll see. Vibration robs music of it's immediacy by making sound dull and lifeless. This happens because vibration, when allowed to reach the tonearm, alters the actual geometry between the stylus tip and the record groove during play. Th XP99 actively and passively suppresses vibration. Actively suppressing vibration is our revolutionary Silent Synchrotor System, assisted by our friction-free linear coreless motor, straight tonearm and solid, anti-vibration cabinet. Just one listen will convince you that the XP99 sounds far superior to all direct drive turntables, offering better definition, greater musical sonority and sharper transients. The XP-99 comes complete with a moving coil cartridge (AT-3100S) for crisp, transient sound - unusual for an MC, it features a user-replaceable stylus. 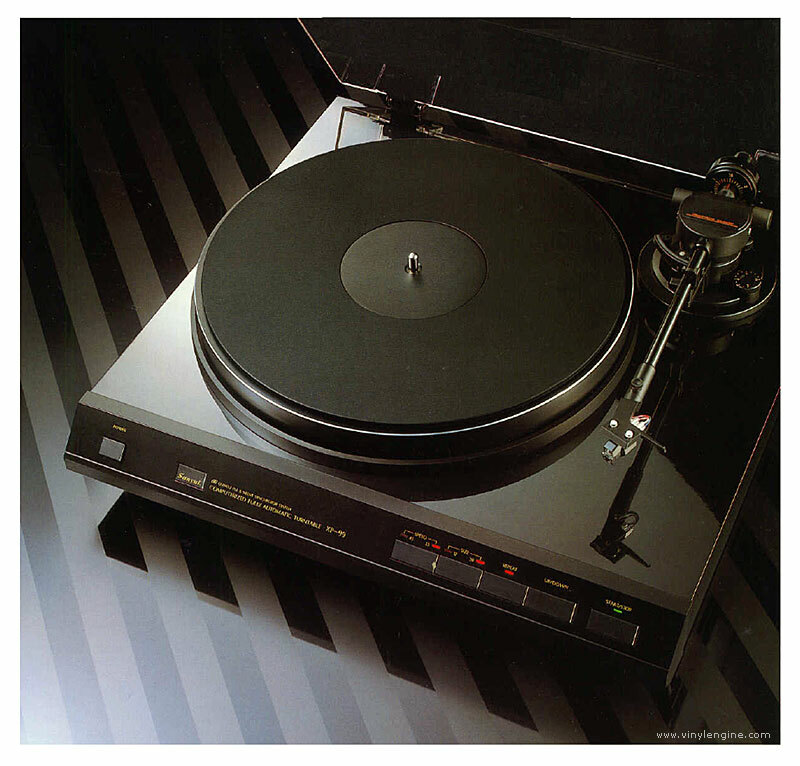 Sansui XP-99 / XP99 owners manual, service manuals and schematics are for reference only and the Vinyl Engine bears no responsibility for errors or other inaccuracies. The PDF files are provided under strict licence. Reproduction without prior permission or for financial gain is strictly prohibited. This website is not affiliated with or sponsored by Sansui.